There is growing research into how the expression of the gene responsible for resetting the stress response can be modified by adverse experience in early life, leading to constant experience of stress disproportionate to actual circumstances, expressed as anxiety, anger or depression and often all three at once. This modification can be inherited from parents or be the direct result of experience. 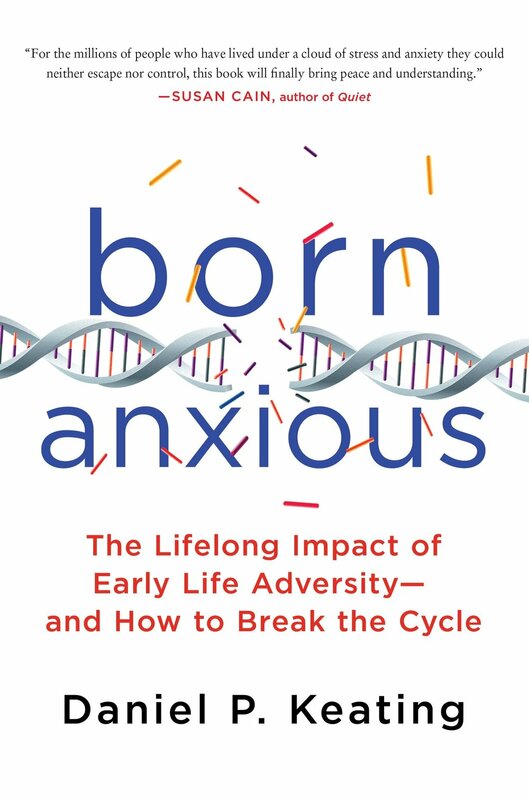 The complexities of this subject are explored in Doctor Daniel Keating’s new book, Born Anxious. What I find most fascinating are the implications for organisations and also some further ideas on mitigating the consequences of this effect. But first, let's use Keating’s work to cover the basics of the epigenome and it's role in dealing with stress. Keating’s main thesis throughout this book is to explore the way in which early life problems cause this effect and he tends to pass over the fact that the phenomenon can occur at any stage of life and not just from poor nurture situations in early childhood. I think there’s a case for suggesting that effects may not be as binary as is implied. Every few years we find ourselves having to revise conclusions that particular mechanisms are irreversible or nearly so. For example in the mid 90's neuroplasticity was considered to be 'fringe' science and the dominant model was that patterns formed in youth were set in stone after a certain (fairly young) age. We now know that is not the case and that neural patterns change all the time. In fact we can decide to a considerable extent what kinds of patterns we nurture. This paper describes experimentation done on how mindfulness meditation may be able to alter gene expression. If this is the case (as seems likely) then we may be able to bring about remedial changes to Stress Dysregulation, possibly resetting the 'off switch'. So it follows that there may be greater possibility of alleviating symptoms than Keating suggests, though he is wise to err on the side of caution. So what are we and our organisations to do about all this? Which brings us back to liminal coaching. We know the liminal state is capable of providing access to a wide range of subconscious mechanisms and that guided imagery is implicated in changing these mechanisms. This abstract from the International Journal of Neuroscience describes the impact of guided imagery on the immune system. So while science is still figuring out how all of this works, we continue to push the boundaries with Liminal Coaching and this is why we include metaphoric imagery intended to reset the stress response mechanism.